ACM SIGGRAPH recognizes Hugues Hoppe with the 2004 Computer Graphics Achievement Award for his pioneering work on surface reconstruction, progressive meshes, geometry texturing and geometry images. Hugues Hoppe moved to the U.S. from Belgium at the age of 14. He completed his B.S. and Ph.D., both from the University of Washington, in 1989 and 1994. He is currently a senior researcher with Microsoft Research. His PhD thesis “Surface reconstruction from unorganized points,” advised by Tony DeRose, describes a method for automatic reconstruction of piecewise smooth surfaces from an unorganized set of 3D points, based on initial surface estimation, mesh optimization, and piecewise smooth surface optimization. This work led to a number of widely recognized SIGGRAPH papers during the period from 1992 to 1996, and has triggered and influenced subsequent work by many other researchers. One key issue in dealing with shape representations is the development of efficient data structures and algorithms for data reductionand multiresolution modeling. 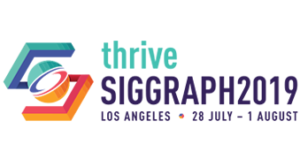 At SIGGRAPH 96, Hoppe introduced the progressive mesh representation, an efficient, lossless multiresolution representation for arbitrary triangle meshes that supports smooth geomorphing of level-of-detail approximations, progressive transmission, mesh compression, and selective refi nement. He later extended the work to include view-dependent refi nement and also generalized it to arbitrary simplicial complexes. Although there are by now some faster algorithms for mesh simplifi cation, the progressive mesh framework itself has had tremendous impact on the fi eld, and the progressive meshes paper has become one of the most widely cited papers in the history of SIGGRAPH. In the meantime, progressive meshes have also been incorporated in the D3DX library of DirectX. Texture mapping lets regularly sampled imagery be used over irregular mesh geometry. In a sequence of papers with some of the fi nest researchers in the fi eld Hugues developed algorithms for texture mapping progressive meshes such that all meshes in the progressive mesh sequence share a common texture parametrization. This line of work also includes the hierarchical computation of signal specialized parametrizations, and a method for texturing an arbitrary surface mesh by synthesizing surface texture from a 2D image. His recent joint work on geometry images applies the regular setup that is common in other media types like audio and images to the surface geometry itself. Geometry images capture geometry as a simple 2D array of quantized points. Surface signals like normals and colors are stored in similar 2D arrays using the same implicit surface parametrization, texture coordinates are absent. Other work in this direction includes the use of spherical parametrizations for genus-zero objects (computed by minimizing a stretch-based measure) and geometry clipmaps for terrain rendering using a sequence of nested regular grids. His work on smooth geometry images is one of the fi rst papers to exploit the highly parallel GPU for geometry synthesis and processing. Over the past ten years, Hugues Hoppe has been one of the most visible and prolific researchers in the field, and he has co-authored 20 papers at SIGGRAPH alone. Several of his papers are considered milestones that have set the trend in the field, and the rapid acceptance and wide applicability of his work put him in a rare position. Hugues has collaborated widely, and he is an inspiration to all those around him. Through his work and example, Hugues Hoppe exemplifies the tradition of outstanding individuals in computer graphics. 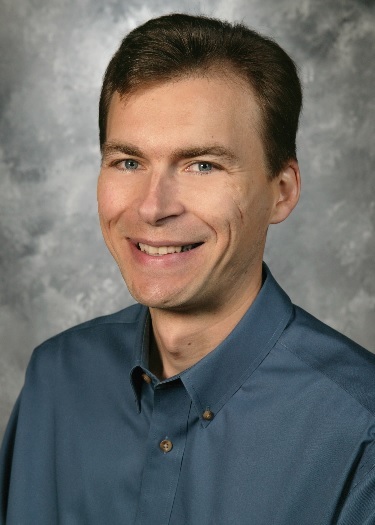 ACM SIGGRAPH is pleased to award Hugues Hoppe the 2004 Computer Graphics Achievement Award.